GST collection in April makes landmark achievement of Rs 1 lakh crore. As per rlease from the Ministry of finance, the total Gross GST revenue collected in the month of April 2018 is Rs.1,03,458 crore of which CGST is Rs18,652 crore, SGST is Rs.25,704 crore, IGST is Rs. 50,548 crore (including 21,246 crore collected on imports) and Cess is Rs.8554 crore (including Rs.702 crore collected on imports). The total number of GSTR 3B Returns filed for the month of March up to 30th April, 2018 is 60.47 lakh as against 87.12 lakh, who are eligible to file the Return for the month of March, which is 69.5%, mentions the Ministry’s release. April was also the month for filing of Quarterly Return for Composition Dealers. Out of 19.31 lakh Composition Dealers, 11.47 lakh have filed their Quarterly Return (GSTR 4) which is 59.40% and have paid total tax of Rs.579 crores, which is included in the above figure of Rs.1.03 lakh crore of total GST collection. Finance Minister Arun Jiatley has hailed the achievemen as he praised the all the stake holders for make the achievement happen. 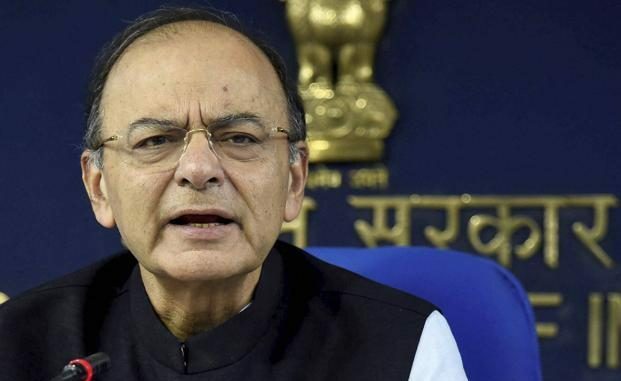 Mr Jaitley in another twitter has shown confidence that ncreased tax collections will help the nation to expand its economic horizons and take it to loftier heights. The buoyancy in the tax revenue of GST reflects the upswing in the economy and better compliance. However, it is usually noticed that in the last month of the Financial Year, people also try to pay arrears of some of the previous months also and, therefore, this month’s revenue cannot be taken as trend for the future. The total revenue earned by the Central Government and the State Governments after settlement in the month of April, 2018 is Rs.32,493 crore for CGST and Rs.40,257 crore for the SGST. Congress new Chief in Odisha Niranjan Patnaik claims his party will rise in Odisha.